Daniel was born and raised in Albuquerque, New Mexico. He attended Albuquerque High School and received undergraduate degrees in both physics and history from the University of New Mexico. During his undergraduate years, Daniel was a news anchor for KUNM radio and a student intern at Sandia National Laboratories. 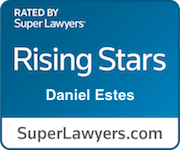 Following college, Daniel moved to Colorado where he attended law school at the University of Colorado, Boulder. After obtaining his law degree, Daniel moved back to New Mexico to marry his long-time sweet-heart, Shannon, with whom he now has a beautiful baby girl. Daniel and his family live in Cedar Crest, located in the East Mountains. 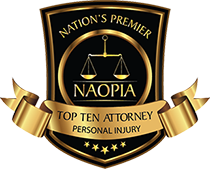 Since moving back to New Mexico, Daniel has dedicated himself to providing top-quality legal services in the areas of personal injury, civil rights, and medical negligence. 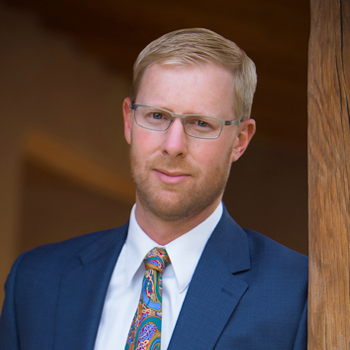 He is thrilled to have partnered with Jim Ellis, who shares the same passion and commitment to representing injured people in courts throughout New Mexico.